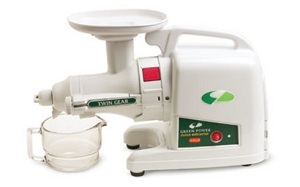 The Green Power Juicer GP-e1503 is a very versatile juicer . It can juice everything from hard roots and fibrous vegetables to wheatgrass and leafy greens. It is also has a breadstick making kit and a pasta making kit. This is clearly one of the most versatile machine available. When compared to similar machines this juice extractor has a lot to offer the discerning consumer. There are many reasons people would choose to begin creating their own juice and if you are going to get serious about the process, you need a machine that will stand up to the process. This juicer is not only a juice extractor, but also a heavy-duty food processor, breadstick maker and pasta maker. You can create many tasty, healthy juices with this machine, as well as a variety of pure baby foods, sorbets and nut butters. This hard working dual auger motor works to do all jobs well which means it can crush food easily at lower revolutions per minute. This is important to prevent too much oxidization of your juice. It does all this without the loud noise that can are common with many juicers. It also has a three way switch for on, off and reverse. A big complaint about juicers in general is the amount of wasted juice; many centrifugal models expel a large quantity of juice with the pulp. This is not an issue with the Green Power Juicer. Pulp will be nearly dry once this machine is through with it! Any dedicated juice connoisseur will tell you processing wheat grass is difficult. 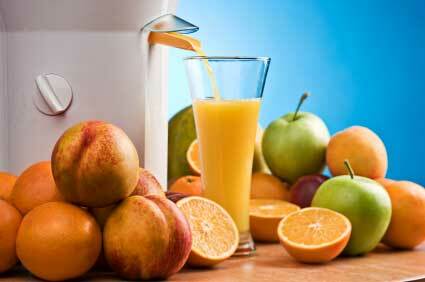 Generally, only juicers specifically designed for it can produce a quality juice. Green Power juicers can handle this tough customer easily. This unit has a longer than average appliance warranty- 5 years is a bit higher than average and a good indicator of overall performance. The Green Power juicer is simple to use and a breeze to clean up. Customers have commented that even their children can easily operate these machines without making a big mess! Casing– This model is constructed of heavy plastic, which is quite durable however not as desirable as stainless steel. Issues with Leafy Greens – While many say that this particular unit claim it will work well with any fruit or vegetable, some consumers have complained of issues when it comes to leafy greens such as kale. When it comes to juicers the Green Power Juicer is in the top 1% according to cost. The retail price is $549, but you may be able to find them for less online.